When the sea beckons, love sets sail near the splendor of a sun-drenched shore. 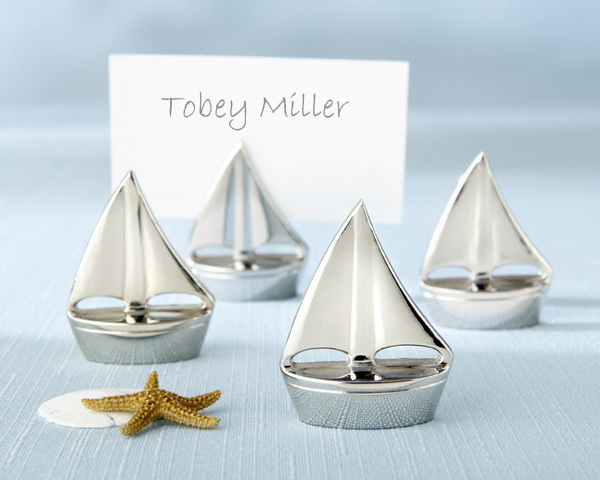 Create the ambience only a beach wedding can inspire by making your tables an ocean full of glistening silver sailboats with these �Shining Sails� Place Card Holders�each one a paragon of stunning simplicity. The sailboats measure 1 �� x 1 �� x �� and are sold as a set of four.